Finish off any lower half love with our women’s tops sale. Shop our range of going out styles to essential pieces for day with our cheap tops to keep your look on-point for less. Keep your new season style topped up with a cheap and easy to wear jersey basic or go glam with a slinky, figure hugging piece that is guaranteed to turn heads. If casual is your vibe, shop our must-have cheap t-shirts in our t-shirt sale range, finish the look with joggers and a pair of sneakers. 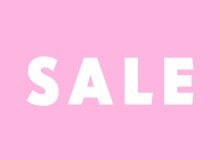 With tops featuring on-trend cut out detailing, killer crops, sultry plunging necklines and figure flattering floaty numbers, look no further than our offering of sale tops to refresh your style with ease whilst not breaking the bank.